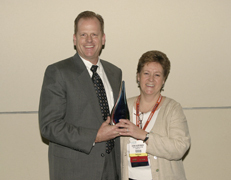 Diana Augspurger, president of the Association of Closet and Storage Professionals, presents her predecessor, Mike Carson, with the ACSP's inaugural Pioneer award. WEST PALM BEACH, FL – Mike Carson, founder of Closet Works Inc. of Elmhurst, IL, and immediate past president of the Association of Closet and Storage Professionals, was bestowed the ACSP’s inaugural Pioneer Award during a Feb. 27 ceremony at the 4th annual Closets & Home Organization Conference & Expo. In this regard, Augspurger cited Carson for his “great passion in single-handedly” reaching out to owners of other independent closet manufacturers across the country to establish the National Closet Group in 1999, the first trade group for the closet industry. Due largely to Carson’s leadership, vision and grasp of industry trends, the ACSP was established in 2006 to serve not only independent closet manufacturers, but suppliers and franchises, as well. Through his activities with both trade groups, Carson has played a major role in the development and growth of the annual Closets & Home Organization Conference. 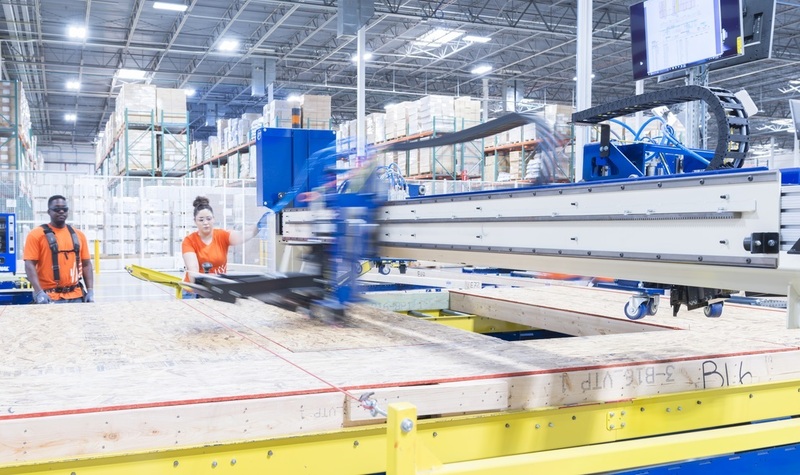 Before selling Closet Works last year, Carson grew the company to more than $11 million in annual sales, earning it repeated recognition in Wood & Wood Products’ WOOD 100 Report of fast-growing woodworking companies. He also authored the popular “From the Front Office” column in CLOSETS from the first issue in 2006 through February 2008. View video of the awards presentation.